The Dark Ranger: What Was He Thinking? I have to admit, this picture makes me laugh out loud -- not only the mullet in the back, but the feathered bowl in front. He could be appearing on the Facts of Life or maybe related to Tammy Wynette. 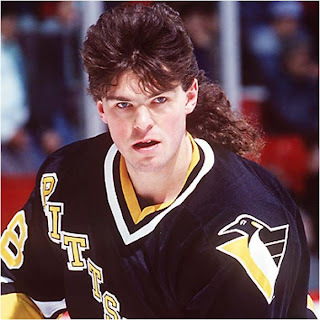 Perhaps this hair is what the Penguin fans come to expect with those from Pittsburgh -- Mike Ditka, Joe Namath, Scott Ferrall, Christina Aguilera, Charles Bronson, Bobby Vinton, and our most descriptive and appropriate, Madalyn Murray O'Hair — (founder of American Atheists). All of them have had confirmed mullets (aside from the O'Hair chick - to the best of my knowledge). Former Penguins Alexei Kovalev, Martin Straka, Aleksey Morozov, Robert Lang, Petr Nedved, Sergei Zubov, Darius Kasparaitis and Kevin Hatcher all having played with Pittsburgh have been embraced by their fans when later either making appearances or playing for other teams. 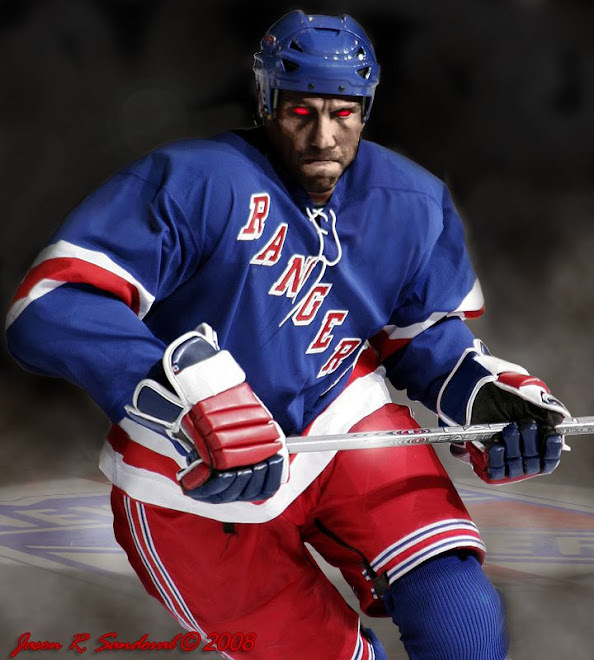 Throughout the season when the Rangers were playing in Pittsburgh, every time our own Yah-ger-mullet got hold of the puck, it was followed by a simultaneous boo'ing - one of hatred and deceit. One would think that Penguin fans would be satisfied with their own team and celebrate those that have moved on to other adventures in far-reaching cities beyond the Pittsburgh-proper (yes, folks...there are bigger cities than your own happy milltown). Even with some of the top leading scorers and the best young players in the NHL, the once-Penguin/now-Ranger Jagr received verbal sucker punches and bad karmic energy from the Pittsburgh fans that once loved him and embraced his flaming wrist-shot and furry little head. Jagr's hair has been trimmed and updated and I strangely think their behavior has something to do with the "do". Until next season Mullet-town!